The Canadian government has launched its legal challenge on softwood duties one day after the US finalized its anti-dumping and countervailing duty rates (with slight reductions). Meanwhile, Les Leyne writes about the threat of paper duties on BC’s coastal mills; Don Burnell says online Christmas sales were good news for Washington’s packaging and papermakers; and Russ Taylor forecasts higher lumber prices due to a shortage of North American softwood capacity. In Forestry news: Nova Scotia environmentalists say clearcutting is destroying bird nests; forest officials in Oregon have authorized some harvesting to reduce the risk of wildfires; and DNA sequencing may have found a solution to the fatal white nose syndrome in bats. 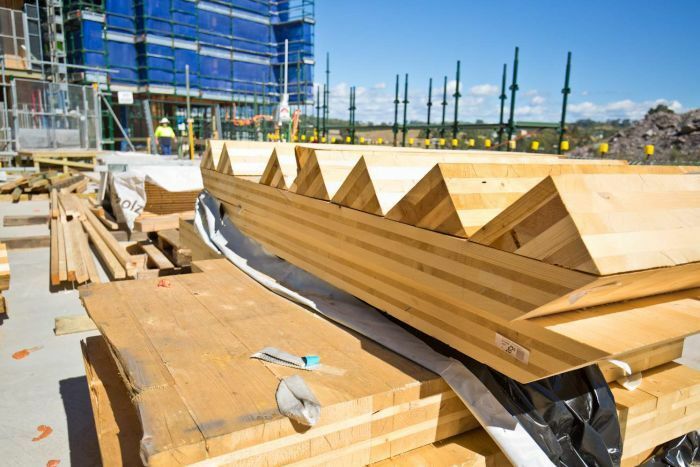 In Product news: timber high-rises are an architectural trend in Australia and Germany, and Ontario is responding with code guidance for using mass timber, while the Mixed Concrete Association is stuck on fear-mongering about fire. 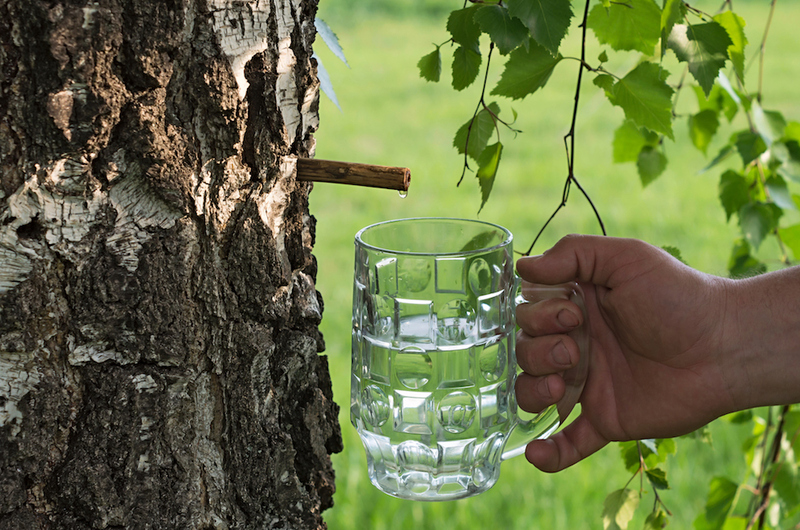 Finally, is tree water really organic? The U.S. has slapped final anti-dumping and countervailing duties on Canadian lumber, the latest step in another lengthy legal battle over softwood. …Commerce Secretary Wilbur Ross said the U.S. is confident the World Trade Organization, which may end up having to rule on the dispute, will eventually side with the U.S. “The Trump administration will continue to stand up against unfair trade practices that harm American workers and businesses,” Ross said in a statement. “Even our closest allies must follow the rules.” …“It’s pretty much a rubber stamp on what we were expecting,” said Kevin Mason, managing director Vancouver-based ERA Forest Products Research. It means Canadian producers will resume paying the countervailing duty, the preliminary version of which had expired, but have the benefit of a relatively predictable environment for the year ahead, he said. U.S. demand will be leaning more heavily on expansions in U.S. production and European lumber imports in the 2018-19 period. Production increases in the U.S. will be subject to many factors, including lumber prices, log supply and costs, financing, supply chain dynamics (including loggers and sawmill workers), etc. This means we could see varying supply responses in different regions of the U.S., and at different times. As we have been forecasting for the last few years (and again this year), there does not seem to be nearly enough available softwood lumber capacity in North America to meet U.S. demand by the end of the decade. …We predict that incremental supplies of logs and lumber will be required each year, and that high lumber prices will result and attract more supply; in 2020 and beyond, there is strong potential for even higher prices. WINNIPEG, Manitoba – The Canadian government on Wednesday criticized the United States for a decision to impose duties on certain softwood lumber exports and underlined its determination to fight the move. The duties, which went into effect on Wednesday, are “unfair, unwarranted and troubling,” Foreign Minister Chrystia Freeland said in a statement. Ottawa has already launched challenges against the duties – which range from about 10 percent to nearly 24 percent, below a preliminary range of about 17 percent to 31 percent – with the World Trade Organization (WTO) and through the North American Free Trade Agreement (NAFTA).“The government of Canada will continue to vigorously defend our industry and its workers against protectionist trade practices,” Freeland said. B.C.’s coastal paper mills are on the verge of getting dragged into the never-ending softwood lumber dispute with the U.S. A hedge fund that purchased a Washington state paper mill in 2016 is following the path set by some U.S. lumber producers by applying for a duty on Canadian newsprint and other paper on the grounds it is unfairly subsidized and sold in the U.S. for less than market value. That claim has been made for decades about Canadian lumber imports. …But this is the first time it’s been broadened to include a wide range of paper products, including newsprint. …B.C. forest products expert Kevin Mason said there’s a high likelihood that a new duty will be put in place even though U.S. customers, Canadian suppliers and various observers consider it “ridiculous.” …The battleground for the new trade dispute is largely in the east, which makes the origins of the case in Washington state even more suspect. City of Powell River council and a group of Townsite residents, called PR Groundswell, are at odds over a planned plant at the south end of the old golf course. …Due to the huge size of Catalyst’s treatment plant, consulting engineers Dayton and Knight told the city it could not be retrofitted practically. A 1200-name petition, city-sponsored open houses and the city’s own citizen advisory committee overwhelmingly rejected privatization. It had no effect. …Even that did not convince the old council. It was only with the election of a new council, with three new councillors, that the Catalyst option was finally put to rest by a majority vote. Reconciliation between indigenous and non-indigenous peoples is the foundation for strong, healthy and sustainable Indigenous and non-Indigenous communities across British Columbia and Canada. Canada’s Truth and Reconciliation Commission concluded that the United Nations Declaration on the Rights of Indigenous Peoples (UNDRIP) provides the best framework for achieving this reconciliation. Both Canada and British Columbia have taken the historic step of endorsing that framework. …In the Alberni Valley, Huu-ay-aht First Nations (HFN) and Western Forest Products Inc. (WFP) have started the hard work of defining what reconciliation means to them and are piloting a shared vision of what reconciliation could look like in the forest sector. We are hopeful our success will serve as one example of a path forward for all those who work and live in the Alberni Valley. Curbside recycling bins are packed with cardboard shipping boxes from Christmas online shopping. The uptick in consumer shipments is not only good news for the U.S. Postal Service, FedEx and UPS, but our nation’s papermakers. …USA Today reported “despite thousands of store closings this year, Americans supplied a final flurry of spending to give retailers their best holiday sales since 2011.” The National Retail Federation expects the total to be roughly $682 billion. The good news is most of those shipping boxes are headed back to paper mills instead of landfills. The volume is huge. Amazon, which accounts for about 40 percent of the online sales, uses 1.6 million boxes each day, according to MRBOXonline. A technical resource for tall wood building construction aims to help applicants, reviewers and designers meet Ontario Building Code requirements for wood structures above six storeys. It includes two sections: fire safety and structural design. Users can learn about the types of wood products, challenges of wood construction, fire prevention and an overview of Alternative Solutions provisions under the Ontario Building Code. Each section offers information on methods of analysis, methods of design and expected performance requirements. Other topics include thermal performance, acoustic performance and constructability. According to the Ontario Ministry of Natural Resources and Forestry, the reference aligns with its objectives to improve opportunities for designers and builders to create new structures and maintain high fire safety standards, as per the Ontario Building Code. Following the recently announced plans that Portland, Oregon, will permit a new development geared toward seniors to be built with cross-laminated timber (CLT), …Build with Strength, a coalition of the National Ready Mixed Concrete Association …issued the following statement: Our parents, grandparents and great-grandparents deserve the peace of mind that comes with a stable and resilient home, and that means non-combustible building materials like steel and concrete. Unfortunately, certain developers in Portland have made it clear they would rather tout questionable environmental factors over security as the justification to use this wooden building material, leaving some of our most vulnerable members of the community at risk. CHEROKEE — A McCune native has returned to Crawford County to see his company erect its first metal home in Kansas. NexGen Framing Systems Vice President of Operations Todd Wright… brought the technology to Cherokee to build a home for his grandparents.He said there are two main categories that make the steel-framed houses superior to block- or wood-framed homes. …The first is durability. Wright said the homes are stronger, more durable and lighter than a block- or wood-framed home. …The second thing that sets these homes apart is the impact on the environment — and the inhabitants pocketbook. …The homes are on average 10 percent more expensive than building a traditional home, but Wright said the offset cost in utilities and repairs makes the home much cheaper over its life. The R.W. Kern Center at Hampshire College in Amherst, Mass., was designed by Cambridge, Mass., firm Bruner/Cott & Associates to be “rooted in its place,” says principal Jason Jewhurst, AIA. 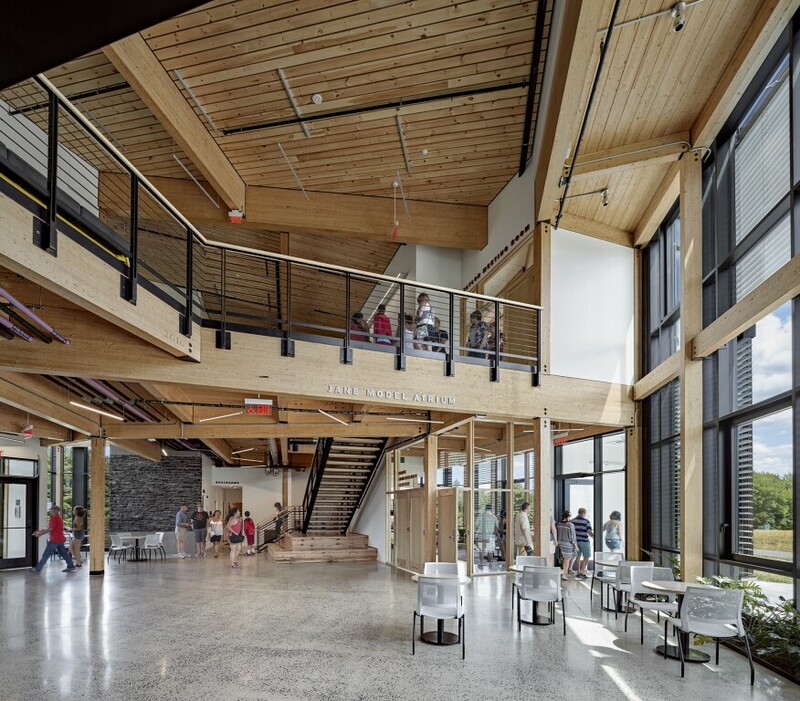 …The Kern Center features a half-dozen wood species, chosen specifically to cohere within the space: black spruce for the glulam; ash and birch for the doors; salvaged red oak for the flooring and monumental stair; pine for the ceiling; and cedar for the exterior. Materials and building systems are left exposed, inspired by the Living Building Challenge’s (LBC’s) push for material transparency. … Instead of uniformly sized beams, Bruner/Cott worked with Montreal-based glulam supplier Nordic Structures, local fabricator Bensonwood, and Newton, Mass.–based structural engineering firm Foley Buhl Roberts & Associates to determine the smallest possible size of each member. Wood: renewable construction material of the future? When you think “sustainability,” building with wood isn’t necessarily the first thing that comes to mind. But a deeper look at the growing trend begs the question: Could wood be a key sustainable resource of our future? …Wood comes from forests — so typically, timber is associated with deforestation. And deforestation is a key environmental problem: not only does it destroy ecosystems and habitat; it’s also a major factor driving climate change. So wood isn’t an obvious choice for eco-friendly construction. 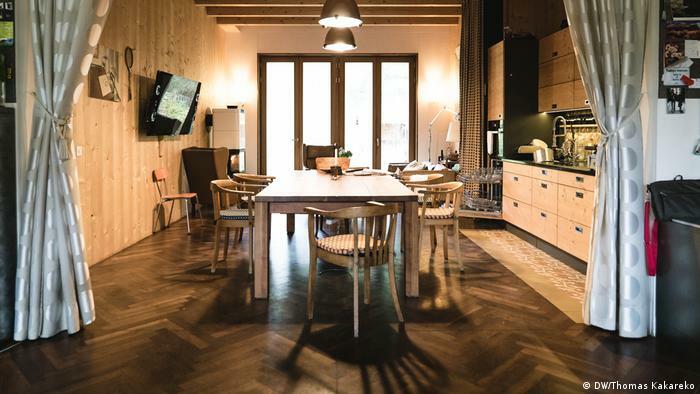 But with man-made materials leaving a huge carbon footprint, wooden architecture is enjoying a resurgence. It’s even being touted as our only significant renewable construction material. …Materials like steel and concrete require massive amounts of energy to produce, and are usually transported over long distances. This emits CO2 that contributes to climate change. Who among us would have thought 30 years ago that the Stein Valley would be nominated by the Canadian government as a candidate for a UNESCO World Heritage Site? …We retain vivid memories of the 25-year, often bitter debate over the future of the valley. Would it be open for “development” (another word for logging), would some areas be logged or would the entire intact watershed be protected? The forest industry and logging companies argued that it was a resource just waiting to be used and that it would create jobs. 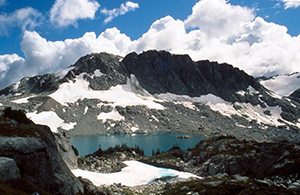 The environmentalists maintained it should be protected because of its spectacular scenery and because it was the last unlogged watershed easily accessible from Vancouver and the Lower Mainland. …While not new by any stretch of the imagination, the fact that we were still talking about the problem of dust and mud coating Youbou from logging trucks heading out of the bush and through town was significant. …Also at issue was the fear that TimberWest could be getting ready to log the steep hill above the town. …Youbou residents object to logging on the spot for a number of good reasons. It would certainly impact the view (clearcuts are not known for their picturesque qualities) and thus tourism. …TimberWest did go ahead with additional paving of the road leading into town where trucks pick up the pesky dust, but community members remain dissatisfied. There is surely more to come between TimberWest and Youbou in 2018. Thousands of birds are lost each year in Nova Scotia because their nests are destroyed by industrial forestry, a Cape Breton environmental group says. “It’s pretty obvious that there’s a really significant amount of bird nests being destroyed in Nova Scotia per year from clearcutting,” said Neal Livingston of the Margaree Environmental Association. 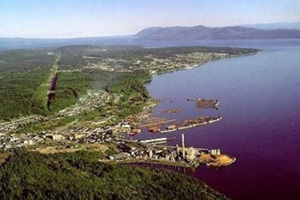 Livingston was referring to a study done by the Avian Conservation and Ecology called An Estimate of Nest Loss in Canada Due to Industrial Forestry Operations. The study, based on 2013 statistics, concluded that between 214,500 and 1.69 million nests are lost each year as a result of logging across Canada. The provincial Department of Natural Resources said… “Bird populations and habitat are impacted by many human activities on the landscape and forestry is not among the most significant source of impacts” compared to cat predation, housing and road development, and vehicle collisions. Scientists say this fungus is Dracula with a twist: It kills bats. But it’s afraid of light. The killer has a scientific name, but its gruesome behavior is familiar to anyone who’s read a horror story. Pseudogymnoascus destructans is essentially a pathogen’s version of a vampire. …The cold-craving fungus causes white nose syndrome, a disease that has wiped out millions of bats as they hibernate, littering caves with their corpses. Yet a study published this week reveals the killer’s glaring weakness: Ultraviolet light destroys it. …one of the study’s four authors, said afflicted bats are being treated with quick pulses of light to determine whether that can destroy the fungus. The first results will not be known for months. …Scientist are exploring a number of other options, too, including bathing infected caves and mines where bats hibernate in light. But the fungus can easily elude light. 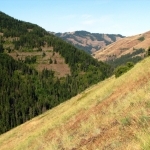 PENDLETON, Oregon – Forest officials on the Umatilla and Wallowa-Whitman National Forests signed a final Record of Decision authorizing implementation of the 37,800 acre Ten Cent Community Wildfire Protection Project. Project activities for both forests include 7,859 acres of commercial harvest, 1,227 acres of small tree thinning, 153 acres of mechanical fuel treatments, 3,557 acres of stream side small tree thinning, and roadside hazard tree removal along haul routes. 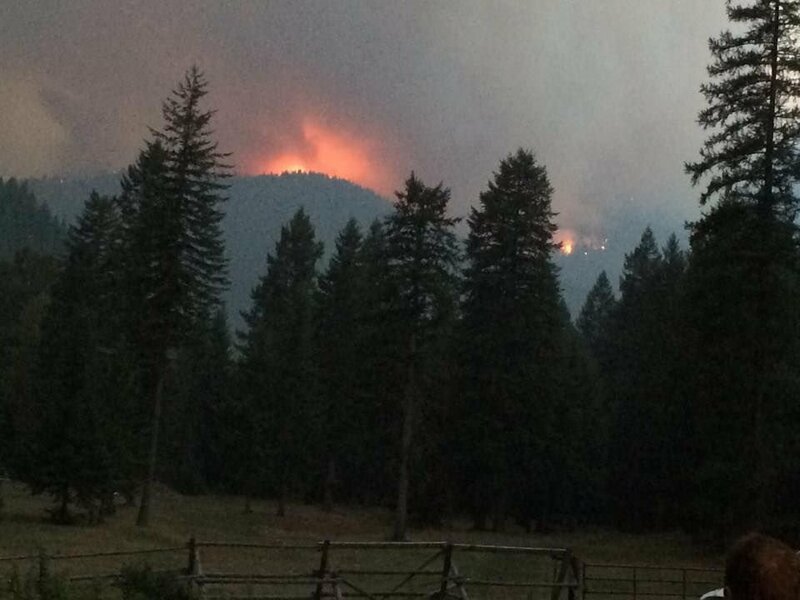 The Wallowa-Whitman National Forest will also implement 9,382 acres of landscaping burning. … The purpose of the Ten Cent project is to reduce the risks of large and severe wildfires, provide a safe working environment for firefighters, and improve the probability of success in protecting life and property on adjacent private lands. Like a lot of small towns in the West, Ashland Oregon is surrounded by conifer forests. The forests grow on public lands managed by the Forest Service and the Bureau of Land Management, and last year, as in many recent years, there were fires on those lands. 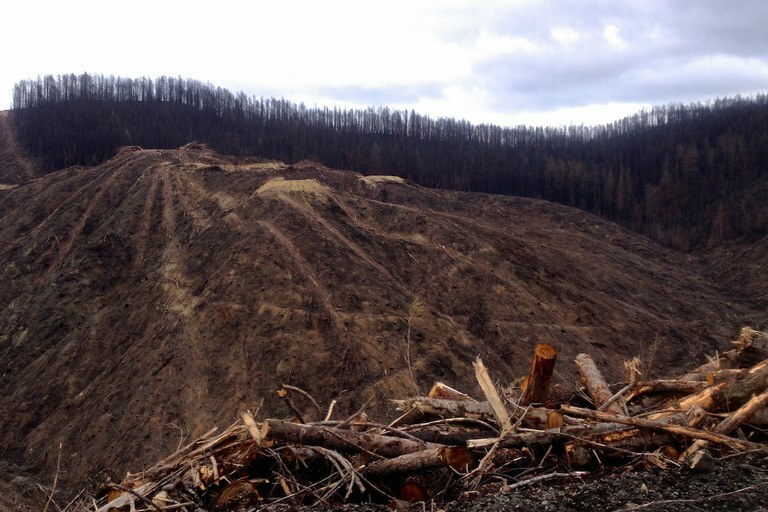 …Some are taking this opportunity to advocate for drastic changes in public-lands forest management. The primary vehicle for this effort is the “Resilient Federal Forests Act,” H.R. 2936, often called the Westerman bill for its primary sponsor, Republican Rep. Bruce Westerman of Arkansas. In the name of making forests “resilient” to fire, it would promote logging by sharply curtailing existing environmental laws. But we can’t “solve” fire here in Oregon any more than Florida can “solve” hurricanes. Both are natural phenomena – and both are bound to get worse with unchecked climate change. Winter was the time of year when the North Woods rang with the sound of axes and saws felling giant white pines. It was the late 1800s, the Golden Age of American Lumbering, and the supply of trees was endless. …But what of the lumberjacks whose perilous labor built the fortunes of timber barons and who endured the hardships and hazards and isolation of those North Woods? Life was in jeopardy. Death loomed as branches –widow-makers — fell, as logs jammed in rivers swollen with spring melt and as diseases ravaged lumber camps. 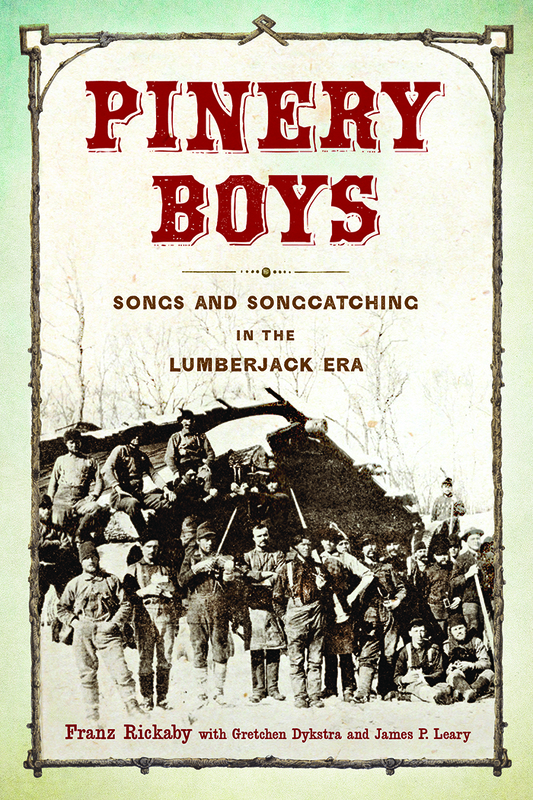 The “Pinery Boys: Songs and Songcatching in the Lumberjack Era” throws light on the lumberjack culture of the era. But others reflect harsher realities, such as this song about a tragedy in Minnesota “concerning a young shanty-boy so tall, genteel and brave.